Some love it, some hate it, but floorcare goes beyond keeping your home tidy, it’s about creating a hygienic living environment for your family, choosing the right cleaner makes it so much easier and the results that much better. Whether you have hard floors, carpets or a mixture of both, we’ll help you find the right floorcare appliances to suit your needs. 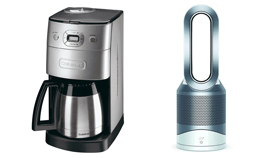 From powerful cordless vacuum cleaners, or hygienic steam cleaners, to the latest robotic technology vacuums, we have the right appliance for you. 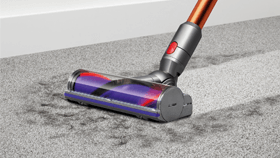 View our range of Floorcare products from leading manufacturers Bissell, Bosch, Dyson, Hoover, Miele, Sebo and Vax. 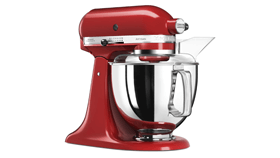 View our range of food preparation products such as Blenders and Hand Mixers, Food processors, Juicers and Stand Mixers from Bosch, Cuisinart, Kenwood, KitchenAid and Panasonic. 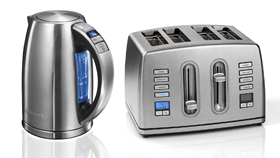 Kettles and Toasters available from Bosch, Breville, Cuisinart, George Foreman and KitchenAid. Have a brighter morning with our fantastic range of coffee machines. No matter how you take your coffee, we’ve got a machine in your budget that’ll give you amazing results.